Sanok witnesses a short but eventful stay. It was the intention that the march battalion were to wait here for a few days before continuing to the front on foot, but they arrived two days early so were ordered to continue the same evening due to lack of accommodation. In the meantime they have to endure a speech by the brigade commander. The most spectacular episode involves lieutenant Dub who is going to check that the soldiers don't visit whorehouses but lets himself get lured by Miss Ella. Švejk has to fetch him in the end to make sure he is joining the journey onwards. Sanok is a city in the Podkarpackie region of Poland, an important railway junction by the river San. It was part of Austria until 1918, and the city had until 1947 a large Ukrainian population. Most of the information about the various places in Sanok has been gathered from Josef Schwarz's thorough travel letter from a trip in the footsteps of Švejk in Galicia. From a purely historical perspective the description from Sanok is questionable. The reader is informed that the city is located 150 km behind the front, which indicates that we are at the beginning of July 1915. This contradicts the fact that the march battalion was in Budapest on May 23 and we see here an example of how little the author cared about chronology. He appears to have jumped ahead in time to his own journey that started from Királyhida on June 27. That any brigade staff would have been in Sanok at this time is also unlikely. Documents from Kriegsarchiv in Vienna shows that 18th march brigade HQ was near Sambor. It must therefore be assumed that the inspiration for this chapter is taken from IR91's march from Sambor to Sokal in the early days of July 1915. Incorrect topographical descriptions later in the chapter underpins this hypothesis. There exists no independent account of the 12th march batn. ever passing through Sanok. [3.4] Objevilo se, když se přijelo do Sanoku, že vlastně na tom voze s polní kuchyní jedenáctky, kde prděl blahem nasycený Baloun, měli celkem pravdu, že bude večeře, a dokonce kromě večeře že tam bude rozdáván nějaký komisárek za všechny ty dny, kdy nedostal batalion ničeho. Mosty Wielkie is mentioned by the author as he explain the situation at the front when the march bataillion arrives in Sanok. The railway line northwards from Sanok to here was undamaged it's said. Note that Cecil Parrott's translation uses Mościska (now Мостиська), which is actually another town. 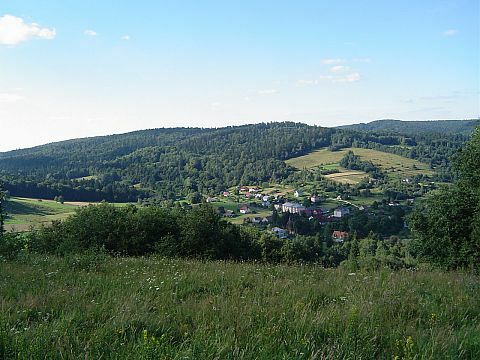 Mosty Wielkie is the Polish name of Великі Мости (Velyki Mosty), a town in Galicia, now in the Sokal region of the Ukraine. Jaroslav Hašek's 91st regiment marched past here on July 21 1915, on the way to Sokal. The town had a garrison from 1846 to 1918. The mentioned railway line didn't exist, so the author probably had another place in mind. [3.4] Ačkoliv odtud bylo spojení železniční neporušeno pod Lvov i severně na Veliké Mosty, bylo vlastně záhadou, proč štáb východního úseku udělal tyto disposice, aby „železná brigáda“ se svým štábem soustřeďovala pochodové prapory sto padesát kilometrů v týlu, když šla v té době fronta od Brodů na Bug a podél řeky severně k Sokalu. Brody is mentioned by the author as he explains the situation at the front when the 91st regiment arrives in Sanok. The front stretched from Brody to Bug. Brody (Броди) is a city in Galicia, now in the Lviv oblast of the Ukraine. Before WW1 it was an important trading city on the border between Russia and Austria-Hungary. In 1914 Jews made up more than 60 per cent of the population. Russian forces conquered the city in late August 1914, and it was recaptured in early September 1915. That the front has been even near Brody as early as late May 1915 when Svejk presumably was in Sanok doesn't correpspond to historical facts. Note that from Budapest to Sanok there is a gap of five weeks between Svejk and the author's own journey. Auch in Ostgalizien befindet sich der Feind neuerlich im Rückzuge. Die Truppen des Generals v. Boehm-Ermolli rückten in Brody ein und dringen heute östlich dieser Stadt über die Reichsgrenze vor. Limanowa is mentioned by Captain Tayrle when he emphasises for Ságner who hopeless reserve officers generally are. Limanowa is a town in Galicia (now in Poland), known for the battle in December 1914 where Austria-Hungary succeeded in repelling a Russian offensive that threatened Kraków. This was the Dual Monarchy's first strategic victory in the war and saved it from immediate collapse. [3.4] Když jsme ustupovali od Limanova a od Krasníku, všichni ti ,takélajtnanti’ ztratili hlavu, jakmile uviděli kozáckou patrolu. My, ve štábu, nemáme rádi takových příživníků. Kraśnik is mentioned by captain Tayrle when he emphasises for Ságner how hopeless reserve officers generally are. Kraśnik is a town in that in 1914 belonged to the Russian part of Poland. It is known for the battle that took place from 23 to 26 August, the first major battle in the war that Austria-Hungary won. The Austrian commander Dankl was awarded the honorary title Dankl Graf von Krasnik after this battle. On the Russian side the famous-to-be Finnish commander Carl Gustaf Mannerheim participated. Welfenplatz 1898, the seat of the Hanover garrison. Hanover is mentioned because the reserves of a Hanover Division claimed the quarters which the march battalion of the 91st regiment were supposed to use. Their commander had such an ugly gaze that the commander of the Iron Brigade lost his nerve. Hanover is a large city in Northern Germany, in 1914 capital of the Prussian province of Hanover. The division mentioned in the novel took its name from the province, not the city. In the German Empire there were two so-called Hanover-divisions, numbered 19 and 20 respectively. These belonged to Armekorps X, which was also based in Hanover. Both divisions operated in Galica during the time-span of this part of the plot (early July 1915). It is therefore likely that their reserve units passed Sanok on the way to the front. [3.4] Totéž bylo i při frontových úsecích, které byly ještě dále v týlu, jako zde v Sanoku, kam najednou přibyly reservy německé hanoverské divise pod vedením plukovníka s tak ošklivým pohledem, že brigadýr byl uveden do naprostého zmatku. Platnéřská ulice is mentioned by Švejk when he talks and forces his way into the whorehouse in Sanok to pick up Dub. Madam is politely reminded through the anecdote about Vondráček and madam Křovánová how she might end up if she makes too much noise. The street appears again in [4.2] in connection with the anecdote about Růžena Gaudrsová, who had been employed in a vinárna there. Platnéřská ulice is a street in Staré Město (Old Town), Prague. It was renovated around 1908 and changed character completely. In 1910 there were two wine taverns in the street: Antonín Kafka's in no. 9 and František Müller's in no. 15. Morocco is mentioned by Pokorný from the anecdote about the man who answered questions totally off topic. Once the sultan of Morocco had been the theme. Morocco is a country in North Africa, in 1914 a Spanish and French protectorate, which previously had been governed by the Ottoman Empire. There were repeated conflicts between France and Germany about Morocco, and in 1905 and 1912 treaties were signed that recognised the special position of France and Spain. Many Moroccans served in the French armed forces during WW1. The sultan in question is surely Yusef ben Hassan who came to power in 1912 after the treaty of Fez. Velké Meziříčí is mentioned by Švejk when talking with Vaněk during the march from Sanok to Tyrowa Wołoska. He was there on maneuvres and there is no doubt that he refers to the large Imperial maneuvres in 1909. Velké Meziříčí is a town in the Vysočina region of the Czech Republic. It is in the Moravian part of the region, not far from Brno. [3.4] Švejk táhl se vzadu se štábem kumpanie, se sanitou a nadporučík Lukáš objížděl celou kolonu, přičemž každou chvíli zajel dozadu, aby se přesvědčil u sanity, kde na vozíku pod plachtami vezli poručíka Duba k novým hrdinným činům do neznámé budoucnosti, a přitom aby také si ukrátil cestu rozmluvou se Švejkem, který nesl svůj baťoch a ručnici trpělivě, vyprávěje si s účetním šikovatelem Vaňkem o tom, jak se to před lety pěkně mašírovalo na manévrech u Velkého Meziříčí. Starý Knín was where Švejk meet Karla Veklová at a dance. It soon became obvious that the lady didn't like him very much. Starý Knín is a village in the Příbram district south-west of Prague. The village was in 1960 joined with Nový Knín. [3.4] Když jsme před lety stáli lágrem v Mníšku, tak jsem chodil tancovat do Starýho Knína, namluvil jsem si tam nějakou Karlu Veklovou, ale moc jsem se jí nelíbil. Jednou večer v neděli jsem ji doprovázel k rybníčku, tam jsme si sedli na hráz a ptal jsem se jí, když zapadalo slunce, jestli mě má taky ráda. Tyrawa Wołoska was the first stop on the march from Sanok. The brigade were meant to stay overnight here but were ordered to march on towards Liskowiec. The stay here was little more than a break, were the soldiers tasted the bad water of the village in which they had to add citric acid for protection against cholera. Lieutenant Dub was now slowly recovering from his calamity in Sanok. Tyrawa Wołoska is a large village in Galicia, 17 km east of Sanok. The village was in 1914 part of Austria-Hungary and mainly inhabited by Ruthenians. Tyrawa Wołoska has belonged to Poland since 1918. Already in November 1914 there were reported cases of cholera in the village, so the description in the novel about boarded up well is realistic. This does still doesn't prove that author knew the plac, this chapter of the novel is in a geographical sense entirely fictive - none of the march battallions of IR91 marched past here, and the author's own (IR91/MB12) were transported all the way to Sambor by train. Still Jaroslav Hašek had witnessed cholera outbreaks and precautions in many other places, and may have "moved" the situation geographically. [3.4] Teď že boží spravedlnost potrestala ho teplou smradlavou vodou ze studní v Turowé-Wolské, do které musí všichni sypat kvůli choleře kyselinu citronovou, kterou právě před chvilkou rozdávali, když se po švarmech fasovala voda ze studní. Kozí plácek was where the tinsmith Pimpra came from. Kozí plácek is the unofficial name of a small town square in Staré Město, Prague. The streets Kozí ulice, Haštalská ulice, U Obecního dvora and Vězeňská ulice all end here. Bolzanova ulice is mentioned in the story Švejk tells Dub about the construction site foreman from Vršovice who didn't want to drink anything that contained alcohol. Bolzanova ulice is the name of a short street in Prague, Nové Město. It is located near the main railway station. [3.4] Za tuhle dobrou zprávu dal starej Vejvoda celou láhev vermutu na stůl a potom se voba vypravili do Bolzánový ulice, co se tam jde dolů po schodech a co tam mají gramofon. Malý Polanec is mentioned when the brigade is ordered to continue onwards from Tyrawa Wołoska towards Malý Polanec and Liskowiec. There is no explicit description of any stay there. Malý Polanec is a place between Tyrawa Wołoska and Liskowiec that can't be identified with certainty. Jaroslav Šerák thinks it might be Malopołska by Brelików, which judging by the author's description of the route is very likely. It looks like the name of a hill rather than a village. [3.4] Nadporučík Lukáš zavolal telefonistu Chodounského, účetního šikovatele Vaňka a kurýra kumpanie Švejka a Balouna. Rozkazy byly jednoduché. Všichni nechají výzbroj u sanity, vyrazí ihned na Malý Polanec polní cestou a potom podél potoka dolů jihovýchodním směrem na Liskowiec. Ropa is just mentioned as the dogs around Liskowiec start to bark. Ropa is a small river which originates in the Beskyds and flows northwards. Ropa is far from Liskowate so the author is probably getting it mixed up with another place. The source of the name is surely the nearby village of Ropienka and the "potok" (stream) of the same name which flows through the village. Táborsko is part of Švejk's anecdote about the barking dogs which he tells before they get to Liskowiec. Táborsko is the Czech name of the Tábor-region in South Bohemia. The region has just above 100,000 inhabitants and has eight towns, with Tábor as capital. The river Lužnice flows through most of Táborsko. [3.4] Všude je vokolí pěkně zalidněný, takže ten psí štěkot šel od vesnice k vesnici, pořád dál a dál, a ti psi v naší vesnici, kde jsme lágrovali, když už umlkli, zas uslyšeli z dálky štěkot, třebas odněkud až od Pelhřimova, tak se dali zas do štěkotu, a za chvíli vám štěkalo Táborsko, Pelhřimovsko, Budějovicko, Humpolecko, Třeboňsko a Jihlavsko. Pelhřimovsko is part of Švejk's anecdote about the barking dogs. Pelhřimovsko (okres Pelhřimov) is a region in Vysočina, named after Pelhřimov, the largest town. The other major towns are Humpolec and Pacov. Humpolecko is part of Švejk's anecdote about the barking dogs. Humpolecko is the area around Humpolec in the Vysočina region. It is not an administrative unit, see Pelhřimovsko. Humpolec is located only 11 km from Lipnice nad Sázavou and is surely a place the author knew about. Třeboňsko is part of Švejk's anecdote about the barking dogs. See Táborsko. Třeboňsko is the area around Třeboň in South Bohemia. The area is flat and known for it's many fish-ponds (rybníky). Jihlavsko is part of Švejk's anecdote about the barking dogs. Jihlavsko (okres Jihlava) is the area around Jihlava in the Vysočina region. Jihlava was until 1945 a German-speaking enclave. It is geographically part of Moravia. The number of inhabitants is around 110,000. Telč is another well known town in the region. Liskowiec saw a visit by the brigade for an overnight stay. It is described how billeting works, both on the account of accommodation and food. The mayor was not very cooperative to start with, Liskowiec was nothing but penury. His attitude changed when Švejk asked him where the nearest tree was. The supply of food was rather meagre: the cow they bought from the Jew Nathan is unforgettably described. Otherwise it's a tale of lice and Švejk's interminable monologues. The men got into the village very late at night, accompanied by barking dogs, and had to leave half past six the morning after. The staff were billeted in the vicarage and the soldiers in a distillery. Liskowiec is a village in Galicia, now just inside Poland on the border with Ukraine. It belongs to Gmina Ustrzyki Dolne. From 1944 to 1951 it was part of the Soviet Union. The author's information about the staff being billeted at the Roman-Catholic vicarage does not quite fit with Słownik geograficzny Królestwa Polskiego i innych krajów słowiańskich. This encyclopedia only mentions a Greek-Catholic parish, the nearest roman catholic parish was Jasień. It is also odd that he describes a route along a stream down to the village whereas it is located on the watershed. It can however not be entirely ruled out that Hašek meant Leszczowate, a village in the vicinity. [3.4] Baloun pomalu zapomínal na představu domnělého nebezpečí a v tichu noci, ještě když sestupovali dolů na Liskowiec, dál neustále vykládal s pohnutím Švejkovi, čeho si dřív nevážil a co by teď jed, až by oči plakaly. Częstochowa and the Mother of God from there is invoked by the mayor of Liskowiec when he explains how poorly the only cow in the village is. 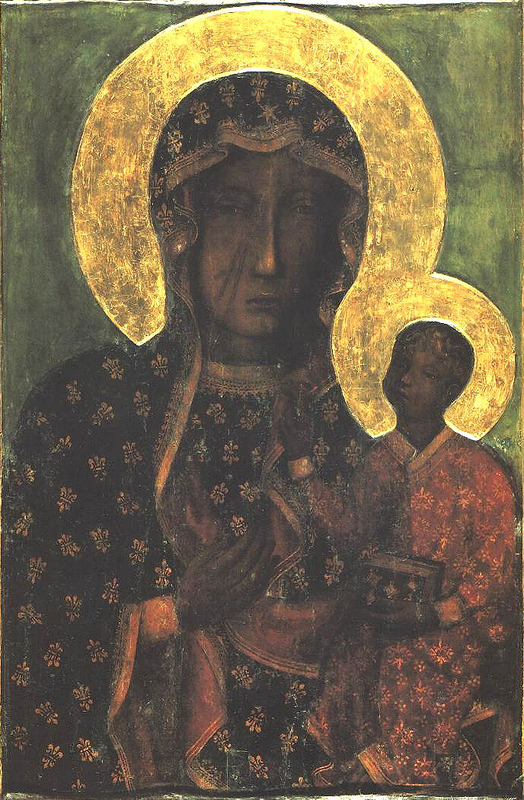 Częstochowa is a city in Southern Poland, known as a pilgrim destination due to the Black Madonna, a painting in the monastery of Jasna Góra. Grabów is mentioned by the author as a neighbouring village of Liskowiec that has been destroyed. The inhabitants now live in Liskowiec. Grabów is the name of many places in Poland but none of them are near Liskowate. It may also have been a village in the Ukraine, now called Hrabiv or possibly Hrabovo. Although these exists, none of them are near Liskowate. 1) A possible explanation is that Grabów is a mis-spelling of Grąziowa, a village just north of Liskowate. Today there are only a few houses, but in 1915 it had more than 1000 inhabitants. 2) A perhaps better guess is Grabownica (now Грабівниця) just inside Ukraina, north of Dobromyl. This is a place the author is much more likely to have known than Grąziowa, and the fact that it is mentioned in the same sentence as neighbouring Chyrów is a further indication. [3.4] Neutrpěla sice požáry, obě válčící strany jako zázrakem nevzaly ji do sféry válečných operací, zato však bylo zde usídleno obyvatelstvo nedalekých zničených vesnic z Chyrówa, z Grabówa a z Holubly. Hołubla is mentioned by the author as a neighbouring village of Liskowiec that has been destroyed. The inhabitants now live in Liskowiec. Hołubla has not yet been identified. A place with this name does exist in Central Poland but it is out of question that this is the one the author had in mind. It is more likely to be a place in Ukraine and a possible explanation is Hubice (now Губичі), just north og Dobromil1. Baikal is mentioned in passing through as several bristly cossacks from beyond Baikal had stayed with the stingy catholic priest in Liskowiec. Baikal is the largest fresh-water reserve on earth and the deepest lake. Lake Baikal is situated in sourthern Siberia in Russia, not far from the border with Mongolia. Jaroslav Hašek knew the area from his time as member of the city soviet in Irkutsk in 1920. [3.4] Byl odchován svým otcem ve velké nenávisti proti Rusům, kterouž nenávist však najednou ztratil, když Rusové ustoupili a přišla rakouská vojska, kteráž mu sežrala všechny husy a slepice, které mu Rusové nechali na pokoji, a bydlelo u něho několik ježatých zabajkalských kozáků. 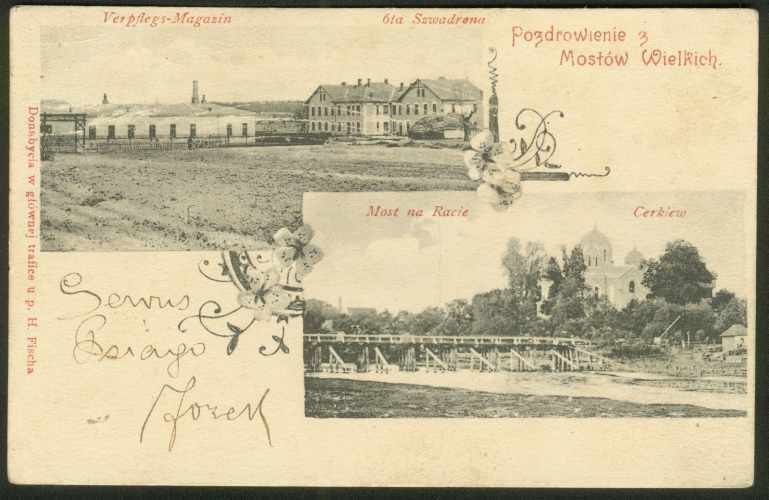 Postcard from 1910, view from the Austrian side. Wołoczyska is mentioned by the Jew Nathan when he relates about his wonderful cow, which there is no equivalent to all the way to Wołoczyska. Wołoczyska is the Polish name of contemporary Волочиськ (Volochysk) in the Ukraine. Until 1918 the border between Austria-Hungary and Russia divided the town, with the larger part on the Russian side east of the river Zbruch., whilst the lesser part Podwołoczyska was Austrian. During the retreat from Tarnopol from 19 July 1917 onwards, Jaroslav Hašek's 1st Czechoslovak Rifle Regiment stayed in Podwołoczyska from 2nd to 6th August. This was the last time the author ever set foot on Austrian territory. [3.4] Chtěl za ni horentní sumu, trhal si vousy a přísahal, že takovou krávu nenajdou v celé Haliči, v celém Rakousku a Německu, v celé Evropě a na celém světě, přitom vyl, plakal a dušoval se, že je to nejtlustší kráva, která kdy z poručení Jehovy přišla na svět. Zaklínal se všemi praotci, že na tu krávu se jezdí dívat až od Woločisky, že se o té krávě mluví v celém kraji jako o pohádce, že to ani kráva není, že to je nejšťavnatější buvol. Královská 18 was the home address of Lieutenant Dub. He mentions it because he thinks his final hour has arrived. Královská 18 was a street address in Smíchov, now Zborovská 489/52. The street got its current name from battle of Zborów in the Ukraine (now Zboriv) where on 2 July 1917, the Czechoslovak Brigade for the first time fought Austro-Hungarian forces. Jaroslav Hašek took part in the battle and so did two later Czechoslovak presidents: Klement Gottwald (on the Austrian side) and Ludvík Svoboda. See also České legie. Mikulášská třída was the street where Kraus, the former boyfriend of the detective's wife Chodounská, hailed from. Mikulášská třída was until 1926 the name of Pařížská ulice in Staré Město. Today it counts as the most fashionable street in Prague. The new street appeared as a result of the renovation of Josefov (the Jewish quarter) around the turn of the century and is named after Kostel sv. Mikuláše (at the time Russian Orthodox) that is located at the southern end at Staroměstské náměstí. It was given its name after a decision in the city council on 2 April 1901. Pařížská: (I. - Staré město) Stehlíkův historický a orientační průvodce ulicemi hlavního města Prahy. [3.4] Já bych Ti to ani nepsal, ale Ty víš sama dobře, že jsi se mně svěřila, že já nejsem první, který s Tebou měl vážnou známost, a že Tě přede mnou měl už pan Kraus z Mikulášské třídy. Sedlčansko is mentioned in an anecdote Švejk tells Lukáš in Liskowiec, on the senior lieutenant's initiative this time. It is about the widow of a postmaster from Sedlčansko and is related to talk about field post offices. The obrlajtnant is not impressed by the story. Sedlčansko is the area around the town of Sedlčany about 50 km south of Prague east of Vltava. It is a rural area without large cities. It is not an administrative unit. [3.4] Já znám zatím jenom moc krátkou historii vo jedný paní poštmistrový ze Sedlčanska, která po smrti svýho muže dostala tu počtu. Horní Stodůlky is mentioned in the story of the priest Zanmastil from here who wrote a book about bed-bugs. Horní Stodůlky is now an area of western Prague, a separate administrative entity until 1974. There is no reference to any Horní Stodůlky, only Stodůlky ("horní" means "upper"). It belong to Prague 13. Krościenko sees a visit by the brigade early in the morning after they left Liskowiec. There is no description of any stay here. Krościenko is a village in Galicia, now just inside Poland on the border with Ukraine. It is located only a few kilometers from Liskowate and is the last railway station on the Polish side of the border. [3.4] V noci bude se vařit guláš. Noclehy pro mužstvo musí být řádné; vyhýbat se zavšiveným chalupám, aby si mužstvo náležitě odpočinulo, poněvadž kumpanie vystupuje z Liskowiec již o půl sedmé hodině ranní přes Kroscienku na Starasol. Stara Sól was the destination of the brigade the day Švejk got captured by his own side by Felsztyn. Stara Sól is the Polish name of the village Старá Сіль (Stara Sil) in Galicia, now just inside Ukraine on the border with Poland. On a military map from 1910 the village is called Starasól. Sambor is the Polish name of the city of Самбір (Sambir) in Galicia, now in the Ukraine, near the Polish border. Sambor is located in the Lviv oblast and has around 35,000 inhabitants. The city is connected by railway to Lviv and Khyriv. Sambor was occupied by the Russian army from 17 September 1914 to 15 May 1915. The front was close to the town also during October and the railway station was one of the buildings that suffered serious damage. Jaroslav Hašek's 12th march battalion arrived here by train on 4 July 1915 after a five day journey from Királyhida. From Sambor they continued on foot and joined the operative part of IR91 on 11 July. Several of the models for characters in Švejk arrived at the front with this march battallion: Franz Wenzel (commander), Rudolf Lukas, Jan Vaněk and Hans Bigler. In his book "Die Front im Osten", Ganghofer briefly describes a meeting with Austrian staff officers in Sambor a few days before the fall of Przemyśl (3 June 1915). Die Enttäuschung, mit der wir in Sambor einfahren, wird hurtig wieder zu himmelhohem Jauchzen. Im Kreis der österreichischen Stabsoffiziere, die uns mit freundlicher Gastlichkeit aufnehmen, sehen wir die Kriegslage des Abends auf der Karte eingezeichnet. Welch! ein erquickendes Ornament! [3.4] Když vyrazili ráno z Liskowiec na Starasol, Sambor, vezli s sebou v polní kuchyni nešťastnou krávu, která se ještě neuvařila. Bylo usneseno, že ji budou vařit po cestě a sní se, až bude odpočinek na půl cestě z Liskowiec na Starasol. Arabia is mentioned indirectly by Švejk through the Arabian stud Buchánek bought. Arabia normally refers to the Arabian Peninsula but here the talk is about the horse breed. Alps is mentioned by Švejk in the long anecdote about Buchánek. Alps is the next highest mountain range in Europe after the Caucasus. It extends across parts of France, Switzerland, Germany, Austria, Italy, Liechtenstein, Monaco and Slovenia. The highest mountain is Mont Blanc with 4810 metres. During WW1 there was fighing in the Alps on the Italian front in Tirol, the area was otherwise spared destruction. A large part of the Alps was within the borders of Austria-Hungary. [3.4] ,To je hrozný,’ povídá na to nebožtík pan obrlajtnant Buchánek, ,ty si, chlape mizerná, loudíš vo facku, buď rád, že ti dám jenom vobyčejnou pozemskou facku, kdybych ti dal takovou tu měsíční, tak bys při své lehkosti letěl až někam na Alpy a rozplác by ses vo ně. Resslova 1780/8: Českoslovanská akademie obchodní. Resslova ulice was the street where the editor in police uniform arrested the two innocents who were on their way home from a banquet. This is in the anecdote about Hubička. Resslova ulice is a street in Nové Město stretching from Karlovo náměstí down towards Vltava. Jaroslav Hašek attended the Czechoslovanic Trade Academy (Českoslovanská akademie obchodní) here from 1899 to 1902 and graduated with good marks. [3.4] Ten jednou vopil toho pana nadstrážníka Hubičku a proměnili si šaty v kuchyni, takže nadstrážník byl v civilu a z pana redaktora stal se policejní nadstrážník, jenom si ještě zakryl číslo revolveru a vydal se do Prahy na patrolu. V Resslový ulici, za bejvalou Svatováclavskou trestnicí, potkal v nočním tichu staršího pána v cylindru a v kožichu, kterej šel zavěšen se starší paní v kožešinovém plášti. Posen (now Poznań) is mentioned because two Posen-regiments are to be billetted in Sambor and Wojatycze. Therefore the route of the march batallion of IR91 had to be redirected towards Felsztyn. Posen is the German namne of Poznań, one of the oldest and biggest cities in Poland. From 1793 to 1918 it was part of Prussia, and therefore from 1871 part of Germany. The city had, even during this period, a large Polish majority. There were four Posen-regiments in the German Army - numbered 18, 19, 58 and 59. Two of those regiments (18th and 59th) were from 8 May 1915 part of 101. Infanteriedivision, a unit in the German Süd-Armee. The newly formed divison was transferred to Stryj and from 20 June they took part in the offensive from Dniestr to Złota Lipa which they had reached by July 5 . Three weeks later they were fighing by Ostrów further north so it is likely that they crossed path with Hašek's 12th March Batallion that arrived by Złota Lipa on 11 July. [3.4] Od brigády přicválal na koni kurýr s novým rozkazem pro 11. kumpanii, že maršrúta se mění na Felštýn, Wojalyče a Sambor nechat stranou, neboť tam není možno ubytovat kumpanii, poněvadž jsou tam dva poznaňské pluky. Rozdělov is mentioned in the anecdote about Křenek. Rozdělov was a village by Kladno, now a suburb of the city. In the 1950's large housing estate were built here and Rozdělov is now dominated by high-rise apartment blocks. [3.4] „Jednou šel uzenář Křenek z Vinohrad podle plánu města Prahy od ,Montágů’ na Malé Straně domů v noci na Vinohrady a dostal se až k ránu do Rozdělova u Kladna, kde ho našli celýho zkřehlýho k ránu v žitě, kam upad únavou. Karlínský viadukt is mentioned in an anecdote Švejk starts in Liskowiec before Lukáš interrupts him. 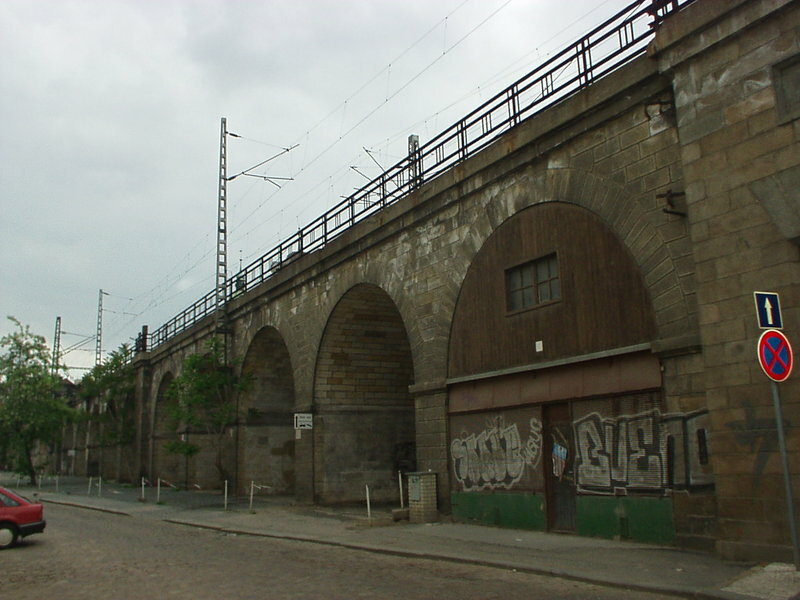 Karlínský viadukt is an often used name of Negrelleho viaduct, a railway viaduct in Prague. It starts at Masarykovo station, goes through Karlín and continues across Vltava to Holešovice. It is the oldest railway bridge in Prague. Ferdinandová kasárna, where Katz had his office, was located just across the street from the viaduct, in Karlín. Felsztyn (now Скелівка) witnessed Švejk's greatest feat in the novel: getting captured by his own side after having put on a Russian uniform. 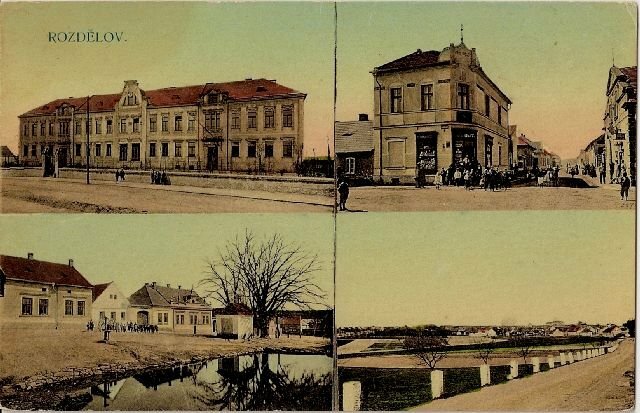 Felsztyn is the Polish name of a village in the Lviv oblast in the Ukraine, from 1945 renamed Скелівка (Skelivka). 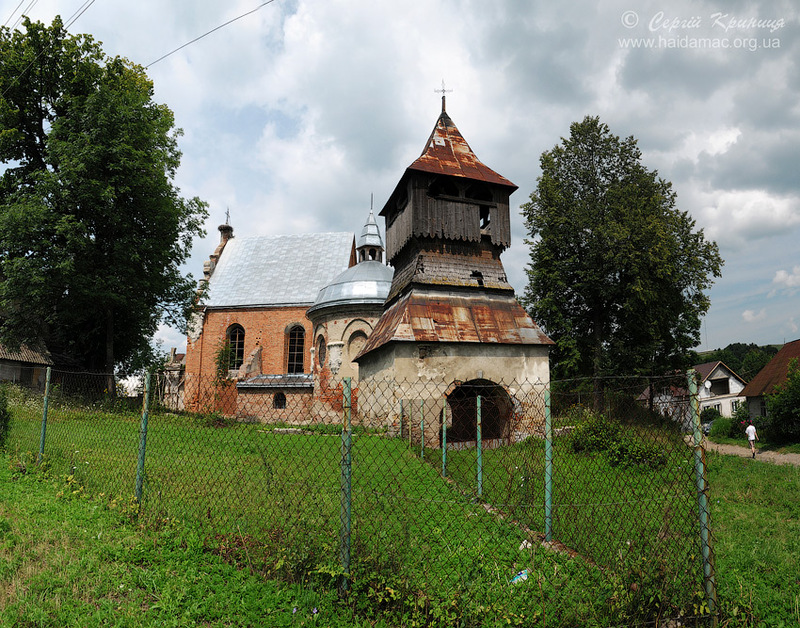 The village is located between Sambir and Khyriv, very close to the border with Poland. Skelivka is the smallest place in the world with a statue of Švejk. [3.4] Zde spal Josef Švejk z Prahy, kompanieordonanc 11. marškumpačky 91. regimentu, který jako kvartýrmachr upadl omylem do rakouského zajetí pod Felštýn. Chyrów (now Хирів) was the place Švejk was first taken to after he was captured by Hungarian soldiers. According to the interrogation report quoted in the novel this must have happened on June 16 1915. At Chyrów he joined a transport of Russian prisoners of war who were repairing the railway line to Przemyśl. Chyrów is the Polish name of the town Хирів (Khyriv) in the Lviv oblast in western Ukraine. The town is a railway junction and even in 2010 there were passenger services to Sanok and Lviv (amongst others). The town was part of Austria-Hungary until 1918. [3.4] Byli to Maďaři a Švejka přes jeho protesty odtáhli na etapu v Chyrówě, kde ho zařadili do transportu ruských zajatců určených pracovat na opravě železniční trati směrem ku Přemyšlu.